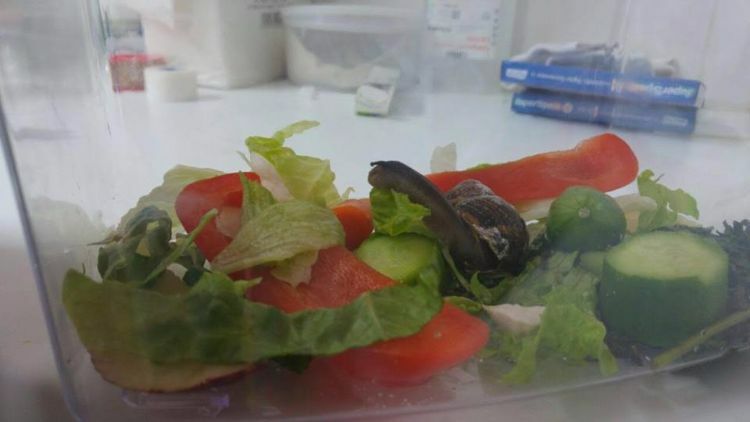 When a woman in Tel Aviv, Israel accidentally stepped on a snail in her garden in January 2017, she was horrified. And then she took steps to save the snail. She brought it to local veterinarian HaClinica. 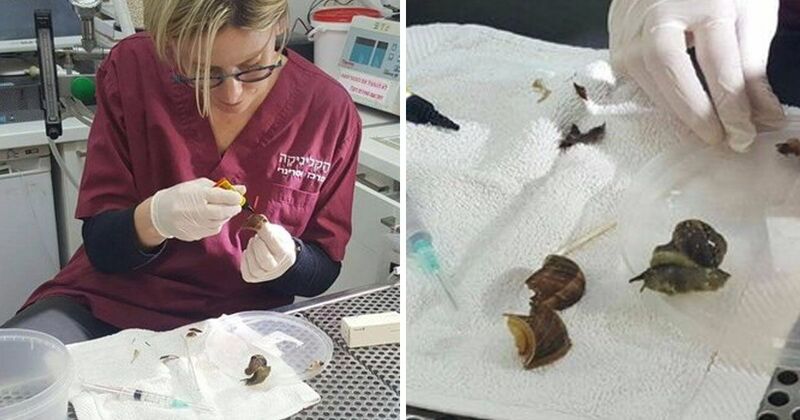 Dr. Anat and her team, rather than dismissing the woman and letting the snail die, decided to help. You might think that a snail - called a "shablool," "tekhelet," or "chilazon" in Hebrew - would be doomed without its shell, but the snail mainly needs it for protection. If it can be kept in a safe environment, it can eventually recover and regrow the broken shell. 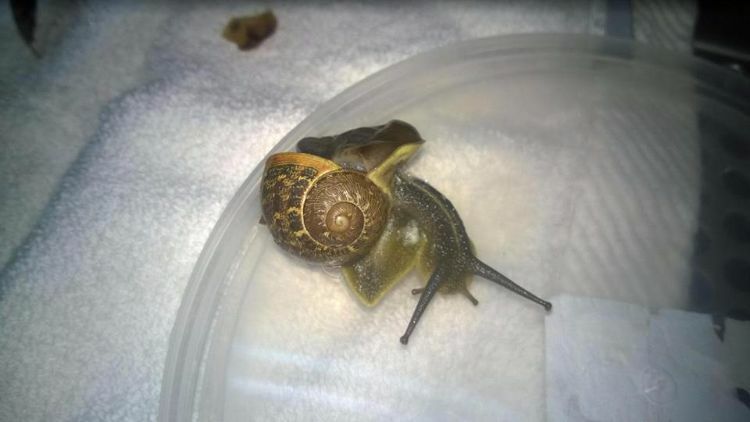 It may take weeks or months, but the snail can recover. 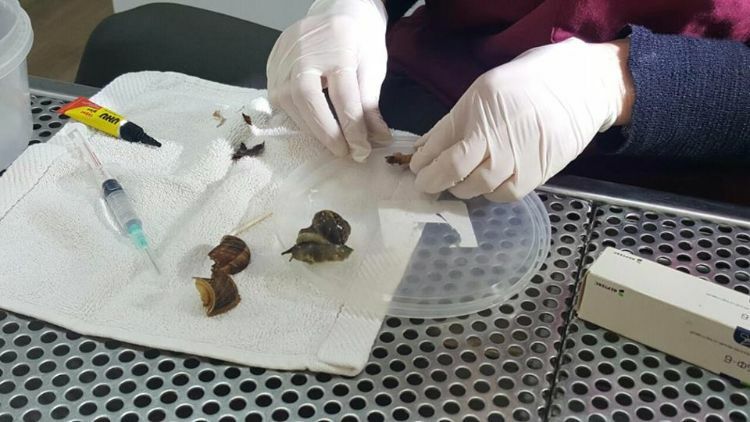 In a series of photos on their Facebook page, HaClinica documented, with Hebrew commentary, how they carefully taped the snail's shell back together and then glued it into place before putting into an aquarium for long-term rehabilitation. It went home with its new owner and now lives on her porch. Afterward, they offered advice for anyone who might discover a wounded snail in their garden. They also took the opportunity to thank their audience, give updates, and share some little-known snail facts. For example, did you know that snails can sleep for up to three years and usually live underground? And in ancient times, snails were used to produce valuable blue dye. Snails even appeared in the Bible. 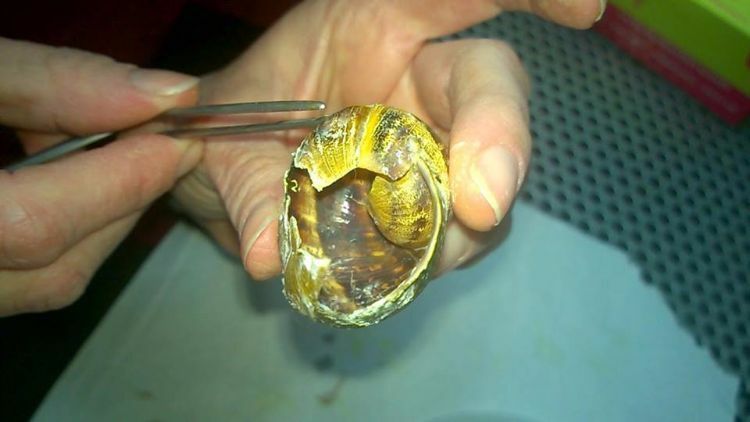 Eventually, despite skepticism about the worth of a snail, the HaClinica vets were able to educate their readers that even a snail is worthy of sympathy and aid. Share this heart-warming story with your readers.